Football season is finally getting underway! 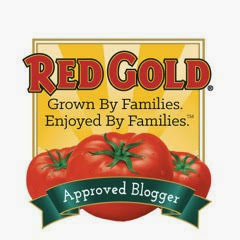 That means here at Casa Garcia, we're gearing up for Texans games and enjoying fun gameday food. All that indulging in tasty treats can wreak havoc on your waistline...but it definitely doesn't have to! 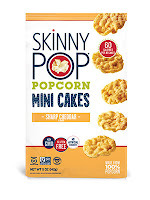 Today, I'm featuring Austin-based SkinnyPop Popcorn to as part of a lighter gameday snack that you don't have to feel guilty about enjoying. I'll also be sharing some fun cocktail pairings for their yummy flavored popcorn and mini popcorn cakes! 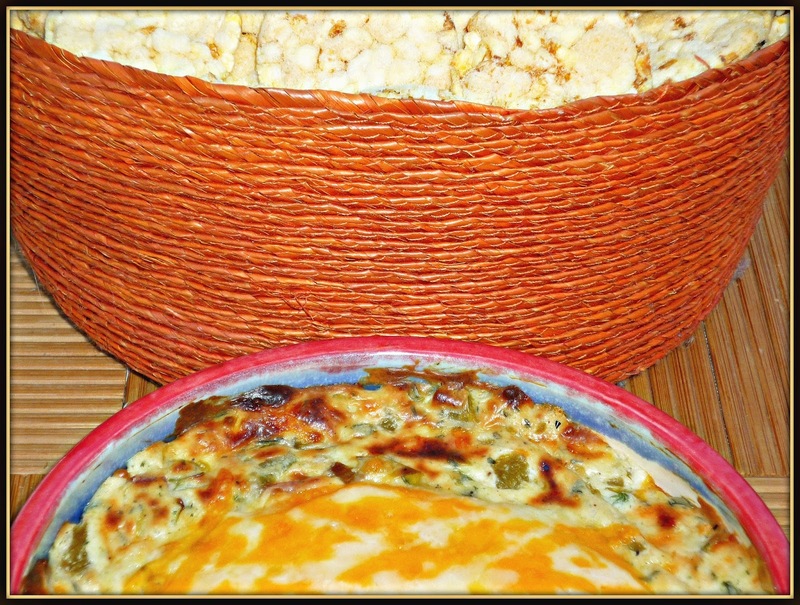 My Lighter Bacon-Ranch Chile Popper Dip has all the flavor of a decadent, full-fat dip...and it's served with SkinnyPop Popcorn's Sharp Cheddar Mini Cakes for dipping instead of chips. The mini popcorn cakes have a great crunch, and they're sturdy enough to stand up to the hearty warm dip! 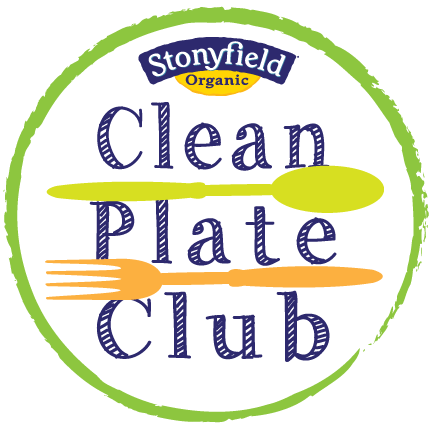 To save calories and fat, I used reduced-fat whipped cream cheese, 2% four-cheese blend, and a reduced amount of bacon from other similar recipes I've seen. The whipped cream cheese is fluffy, which I think results in the dip having a better texture. 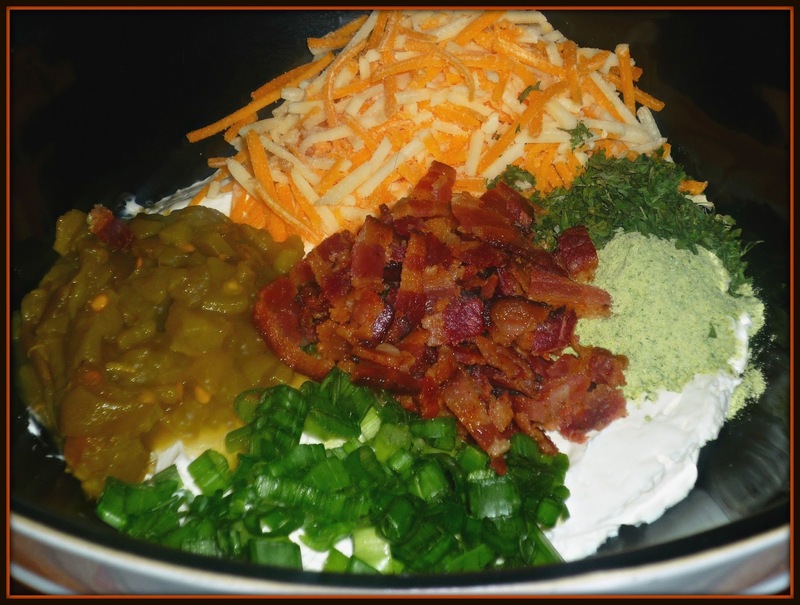 This dip is flavored with packaged ranch seasoning mix and green onions, and it packs mild heat from a small can of diced green chiles. 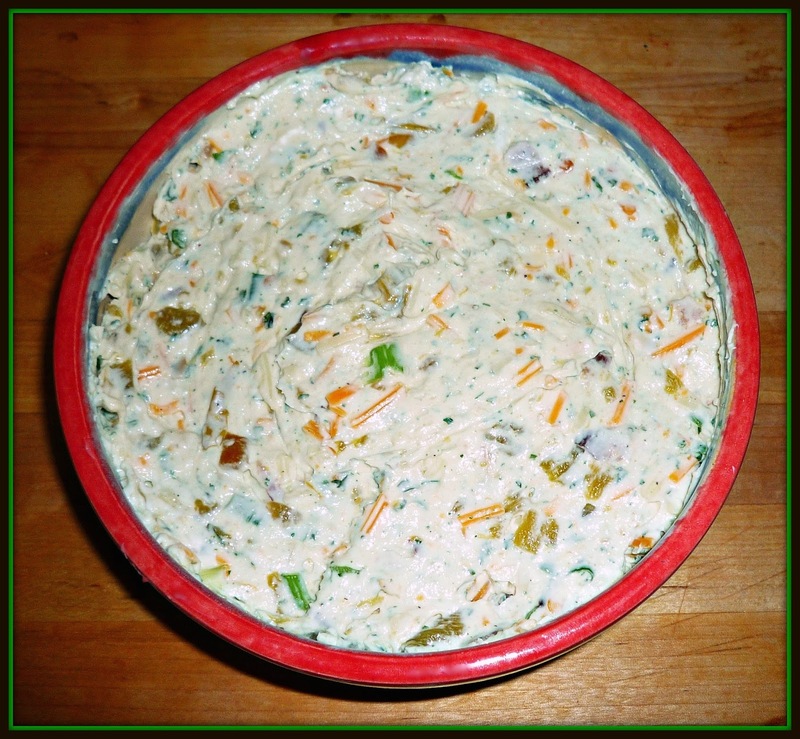 This dip is a snap to make and can even be prepared up to 24 hours before and chilled in the fridge until 30 minutes before kickoff. 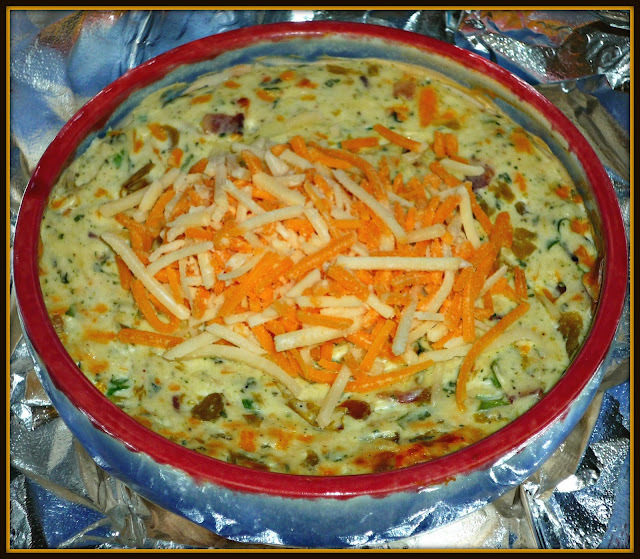 Simply place the dip mixture in an oven-safe serving bowl and heat for 15-20 minutes. Touchdown! Step 1: Assemble the dip up to 24 hours ahead. Add the whipped cream cheese to the bottom. Add the Ranch seasoning, green onions, 1/2 cup of the shredded cheese, and the drained chiles. Step 2: Stir with a sturdy spoon or spatula until all of the ingredients are evenly incorporated. Spoon the dip mixture into an oven-safe serving bowl. At this point, you can refrigerate the dip for up to 24 hours. Step 3: When ready to serve, preheat oven to 375. Cook the dip for 15 minutes. 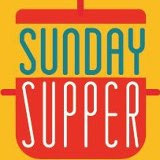 Remove from oven and place the reserved 1/2 cup of shredded cheese in the middle of the dip. 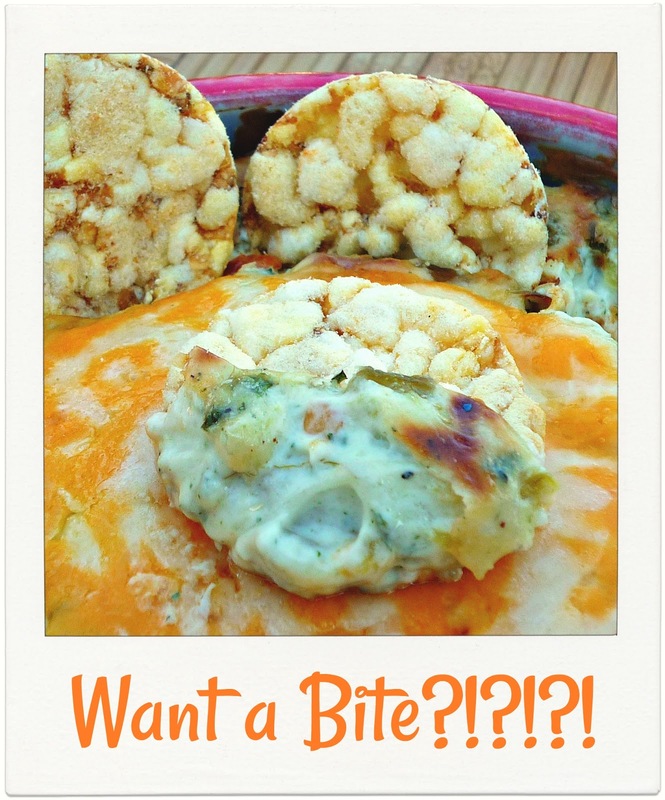 Return to the oven and bake until the cheese melts and the dip is browned and bubbling at the edges. Place the SkinnyPop Sharp Cheddar Mini Popcorn Cakes in a serving basket or bowl, next to the warm dip. This dip is super delicious -- you and your guests will never in a million years guess that it's made with reduced-fat ingredients. 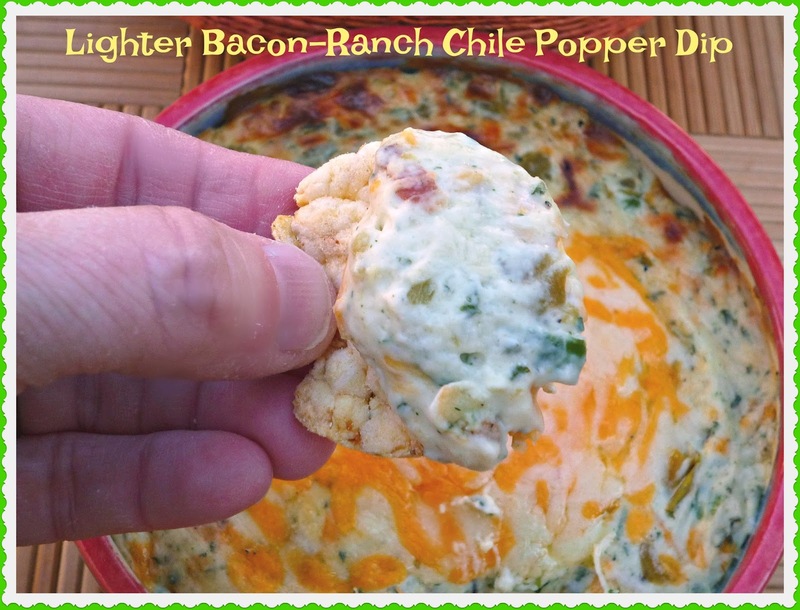 This warm dip is creamy and cheesy...with a bit of heat from the chiles and smokiness from the bacon. 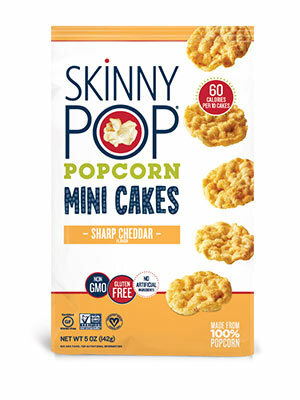 The SkinnyPop Popcorn Sharp Cheddar popcorn mini cakes are a perfect substitution for higher-fat chips. They're crunchy and really stand up to the dip! Now that you have your gameday appetizer game plan squared away...you need a tasty adult beverage to pair with it. Am I right? The nice folks at SkinnyPop are one step ahead of you! They've created a handy Popped and Paired guide featuring cocktails that pair perfectly their yummy flavored popcorn, popcorn cakes, and popcorn mini cakes. 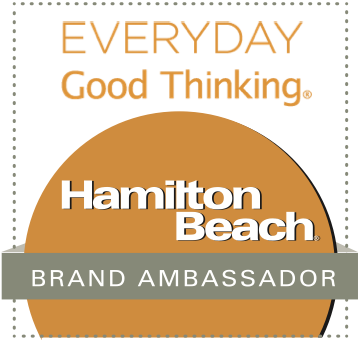 With a wide range of flavors like Original (salt and sunflower oil), Sea Salt & Pepper, Aged White Pepper, Naturally Sweet, Pepperjack, and Jalapeno...you're sure to find a flavor profile that works for you. Once you do that...simply pair your popcorn with the corresponding Summer cocktail! For the cheddar profile that I'm featuring today, SkinnyPop recommends a Blueberry Smash. This fruity cocktail is made with 5 blackberries, 6-8 fresh mint leaves, 1/2 ounce simple syrup, 1/2 ounce Cointreau (orange liqueur), 2 ounces of your favorite whiskey, and half of a red plum peeled and diced. How refreshing! The reason that this particular cocktail works with SkinnyPop cheddar varieties is because its fresh fruit perfectly complements the richness of the real cheddar flavor...and the whiskey will bring out the earthiness of the cheddar. You'll definitely be the "hostess with the mostest" when you surprise your gameday guests with a fabulous dip that's perfectly paired with a refreshing Summer cocktail! I don't know about you...but I'm ready for what late Summer and Fall are bringing sports-wise. Our Astros are headed for the playoffs...and our Texans are looking pretty good in the pre-season. My favorite time of year is just around the corner...if I can navigate the rest of the Texas Summer over the next few weeks. With tasty treats like the ones that I'm sharing here today...I've got the perfect game plan for my upcoming Houston Texas watch parties this season!! Disclosure: SkinnyPop provided me with product samples and the cocktail pairing guide to facilitate this post. All opinions expressed are solely mine.